Becca Hollcraft, Ryan 'Frogs' McCormack & Drew Langan perform at The Troubadour Aprill 22nd. It was a simple tweet that brought me and hundreds out to a private performance at The Troubadour last month. And that simple tweet packed the venue to its capacity to watch Becca Hollcraft unveil her new band Stars In Stereo. Actually, you could also say the large turnout was there to see the members of Stars In Stereo unveil their new lead singer. When City (Comma) State lead-singer left the band to pursue a solo career, remaining members Jordan McGraw (guitar), Ryan McCormack (guitar), Justin Siegel (bass) and Drew Langan (drums) changed the band name to Stars In Stereo and went in search of a new lead singer. Enter Hollcraft, the journey-pop-rocker who's loyal fan-base has watched her career from her start performing at local venues, to having her songs appear on soundtracks, touring with Warped Tour and her label signing to Sony Entertainment Music where she released a few albums. It was Stars In Stereos' celebration of new beginnings, a coming out party of sorts that echoed a Hollywood premiere which included rock and roll sweets and glam deserts provided by Hollywood Candy Girls. 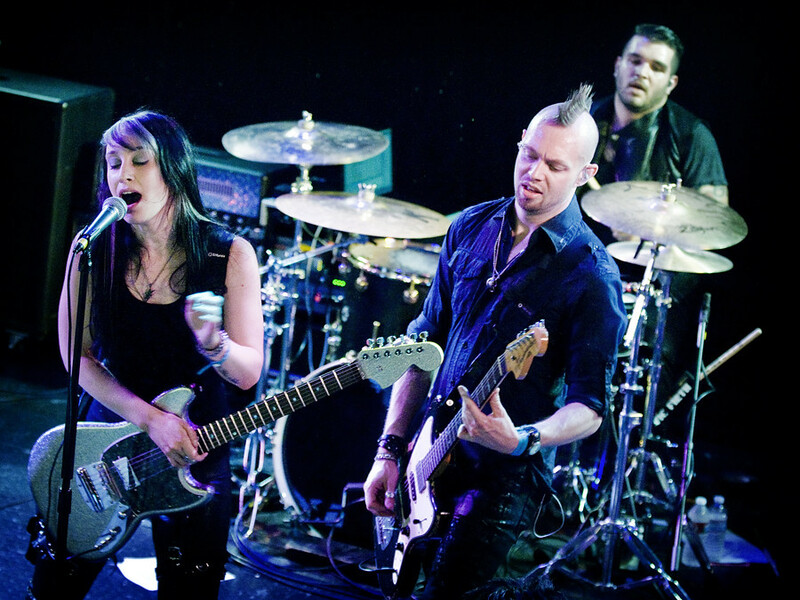 Even Cassadee Pope (formerly of Hey Monday) tweeted "About to head to Troubadour to see Stars In Stereo. Yayuh!" 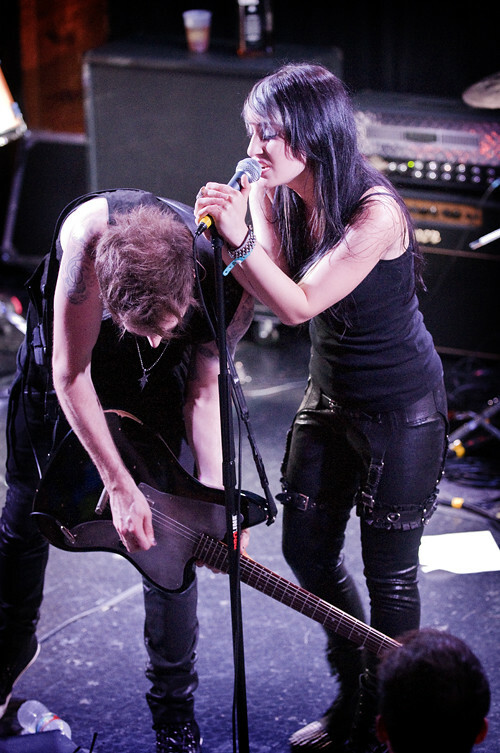 And beginning May 12th, Stars In Stereo goes on tour with The Used and Dead Sara that begins in New York and ends in Portland, Oregon a month later. They also just released their first single "Broken," which showcases Becca's commanding power-vocals delivered over a landscape of raw rock-atmospherics. 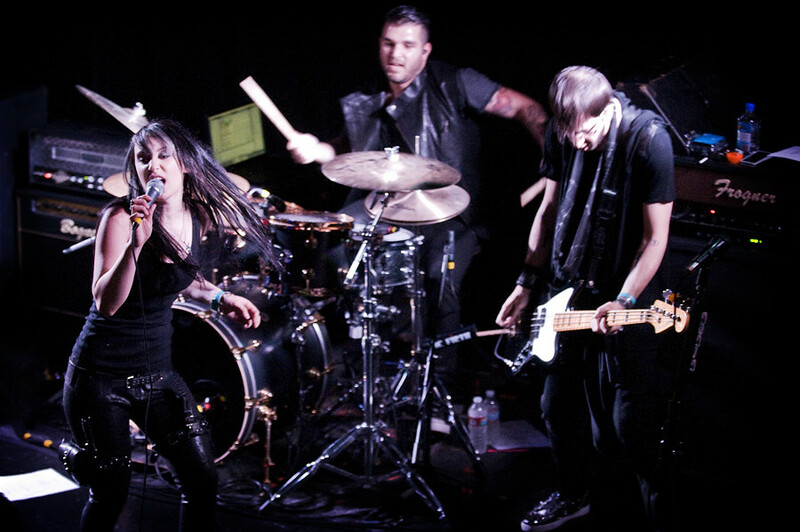 For a band that's been together for less than a year, Stars In Stereo already sounded like tour veterans playing close to an hour without missing a beat and even performing an inspiring version of Nine Inch Nails' "Closer." After their performance, I'm sure many thanked their lucky stars to witness such an electrifying show. 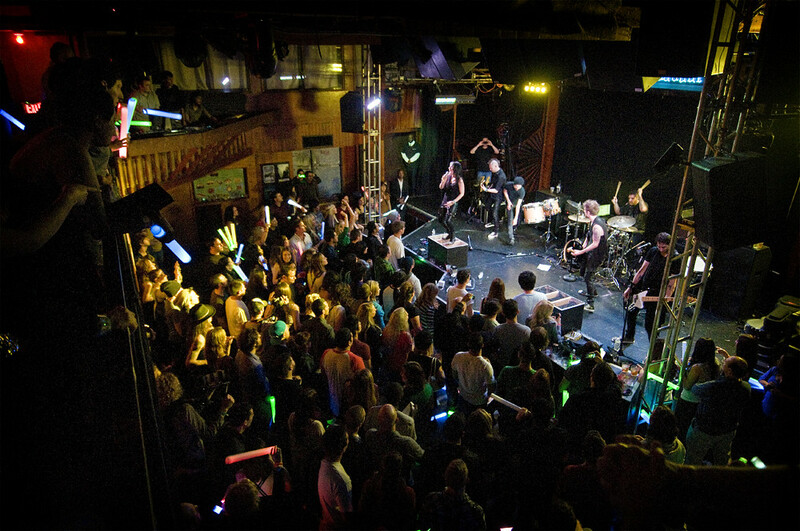 Hundreds packed the Troubadour to watch Stars in Stereo.